The Oktoberfest is over, but Stoptober has just started. 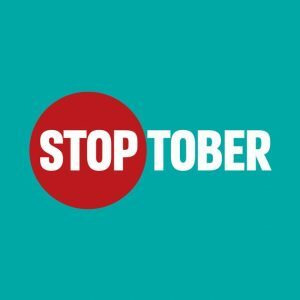 The Stoptober campaign was started by the NHS (National Health Service) in 2012. Since its inception it has been a success. According to Public Health England, over 1 million people to date have quit smoking through the Stoptober campaign. So far the campaign has been very expensive but worthwhile. The stop smoking message has also been conveyed through its own health app. The objective of this article is to highlight some of the most beneficial health apps available today on the app stores. There are a number of bad habits that health apps can solve. The most common resolutions that people make are to get in shape and learn to cook in order to start eating healthier food. Moreover, other applications help users reduce their stress levels or increase the quality of their sleep. 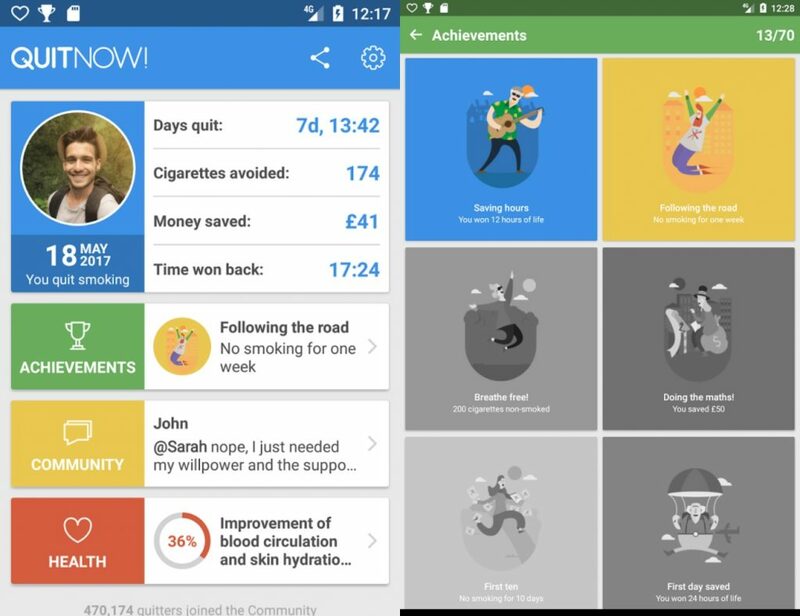 This health app was created by the association Public Health England and includes a four week plan to quit smoking. It was created specifically for the Stoptober campaign. It shows you how much money you’ve saved by reducing the amount you smoke and sends you daily motivational messages. One of the most effective features of this health app shows you your chosen motivational picture or text to remind you why you want to quit smoking. You can also share your achievements through social media. One drawback of this health app is that it is only centred around one month. The application QuitNow! was developed to solve the same problems as the health app Stoptober. However, this app solves many disadvantages that the app Stoptober has. It isn’t only centred around one month and is more focused on maintaining your progress until you eventually quit smoking completely. Furthermore, it is available in a staggering 30+ languages, therefore this health app is more popular than the Stoptober app. It allows users to get into contact with other people that have already quit or are trying to quit. Users can then pass tips and advice to each other and discuss their struggles and achievements. An alternative would be the application “Smoke Free”, which is available in 5 languages and has been rated at 4.5/5 stars by 26,000+ people. One of the most popular apps to help people get into shape is Runkeeper. It has Apple Watch integration and is available across many languages. It allows the users to track their exercises, to set goals and to see progress along the way. The features of creating a tailor-made plan in combination with the functionality to achieve your goals in a group makes the application special. It is not limited to only running, because many of the users benefit from using it for biking. However, the limited version only allows users to track their movements and their basic stats. The premium version, on the other hand, also provides a whole new set of features including weather insights and prescribed workouts. One of the most popular calorie counting apps is the Lose it! app. With over 5 million downloads on both Android and iTunes, it’s free and available in 30+ languages. Like many of the most popular apps available today, it offers in-app purchases to unlock further features. Like many of the most popular motivational health apps, it allows for a tailored programme to fit your dietary needs. The user opens the app for the first time, tells the app a bit about them, and the app designs a plan for them. The list of features is long and goes further with in-app purchases. The list of devices that the app is compatible with is also long. The Apple Watch, Google Fit and Fitbit are just a few. If you are looking to track your sleep quality and to sleep better, the app Sleep Time from Azumio may suit to you. The integrated algorithm checks your sleep patterns, identifying your slight and deep sleep phases. Therefore, the user will be woken up during a slight sleeping phase so that they feel like waking up naturally. This feature is enabled through movement and sound analytics during your sleep. The smartphone just has to be located next to the pillow on your bed to track your sleep quality. As the application is free and available in more than 30 languages, it is one of the most popular and best reviewed applications for this purpose. Anxiety and stress are two of the key problems that people face when trying to stop an addiction or trying to get into good habits. When someone suddenly withdraws something from their life or immediately introduces something completely new, their brain often reacts in a negative way. The release of stress hormones is often why they have an addiction in the first place. If we can look to improve the mindfulness of the user then this is a good start. However, the user had some motivation to begin with that made them make the decision to kick their addiction. It has been proven that reminding the person of their strongest motive regularly and having them set goals is effective. Another feature we often see is that of personalisation. Everyone’s brain, metabolism and external environment are different. Adhering to these factors drastically improves the chances of the app being successful. In the last few years, public health services across many countries have become more digitised in their efforts to convey their messages. Public sector health organisations are continuing to push for more developers to develop health and fitness apps. The more people using health apps, the less strain there is on public health services to treat illnesses or conditions caused by unhealthy lifestyles. NHS waiting times, for example, are currently very high and so any apps that can alleviate this by educating people or improving their health could be very beneficial to the Public Health Service in England. Furthermore, the push for health apps has been helped by the influx of new wearables such as the Apple Watch or Fitbit. Finally, it is important to remember that users need continue to work on sticking to the good habits they’ve adopted. To achieve true self-improvement, the changes need to become a natural part of the person. This is important to remember not only for users but for the people behind the apps. It can take months, even years to kick an addiction or to achieve the self-improvement that the user set out for. What the user definitely doesn’t want is for all that time to be wasted. Apps can know a lot about our habits and preferences just by being in our smartphones in our pockets. That’s why they can be useful tools. By knowing our habits they can help us set targets more accurately and reach goals. As the technology advances and new tracking devices like wearables can be connected with our phone, apps can become smarter and more personalised. In this article, we’ve presented apps that have utilised the current technology to help people. However, the potential for these types of apps will continue to grow, which creates more and more engagement.